New Perennial Favorites, Part Three—This edition of "The Dish" is devoted to established Albuquerque chefs who are stepping up to the range at new projects. Go here and here for first two installations. 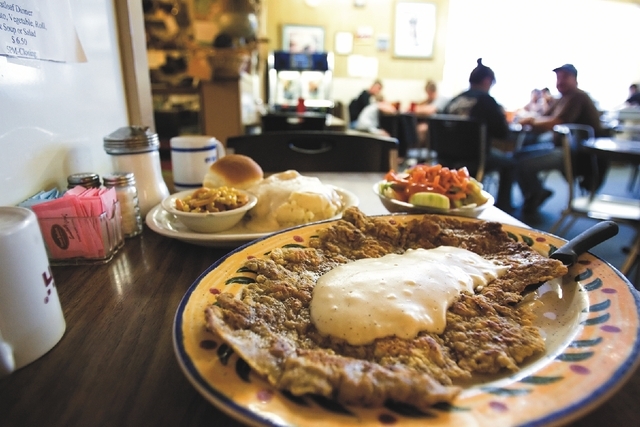 There are several distinct phases that occur when you eat a chicken-fried steak. First is the anticipation. The order is placed, the tummy-tum is rumbling and 15 minutes of cooking time seems like an eternity. Second, there is elation. It’s sitting in front of you, you knock over a water glass to saw off that first bite and eat about half of the fritter as fast as possible. Then comes the “I’m-kinda-full-but-I’m-gonna-keep-going” phase. This turns into the final phase of glassy-eyed, heavy-breathing, hunched over and wondering if the last two bites will make you pass out in the car.